Before diving into Pokémon Platinum, as I had planned, I took a detour. One late night, partially at the heckling behest of a friend, I purchased the WiiWare title My Pokémon Ranch. What a greatmediocre poor way to spend ten dollars buy a Mew. Here’s how this software (not a game, folks!) 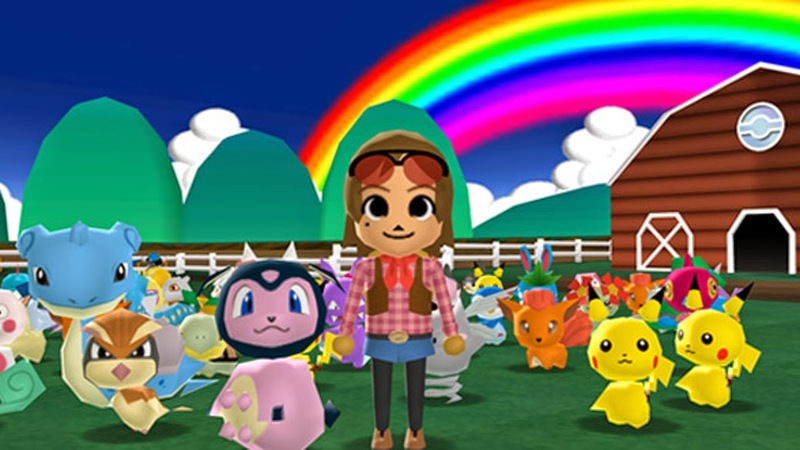 works: players connect their Nintendo DS and either Diamond or Pearl and transfer Pokémon to the ranch. It stores up to 1,200 Pokémon and acts more like a gussied up utility. After depositing 999 Pokémon, players are awarded with a Mew. Believe me, this was no small task and was so gratifying. My friend can attest to that fact as well.